Wiesbaden – a short introduction! Wiesbaden is a city in southwest Germany and the capital of the federal state of Hesse. It has about 275,400 inhabitants, plus approximately 10,000 United States citizens (mostly associated with the American military). Wiesbaden, together with the cities of Frankfurt am Main and Mainz, is part of the Frankfurt Rhine Main Region, a metropolitan area with a combined population of about 5.8 million people. 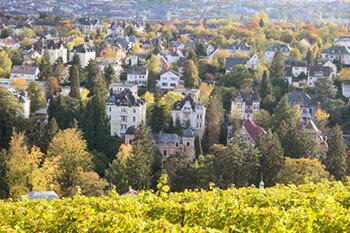 Wiesbaden is one of the oldest spa towns in Europe. Its name literally means "meadow baths". At one time, Wiesbaden boasted 27 hot springs. Fifteen of the springs are still flowing today.